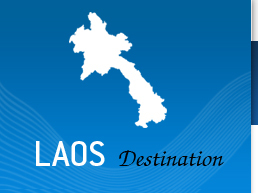 The best time to plan for visiting Laos is between October and February, at this time it is considered to be the dry season and it is also not too hot. If you are heading into the far north of Laos and exploring the provinces of Luang Namtha, Luang Prabang and Phongsali for example a good time would also be from March to May. If you plan to head to Southern Laos the weather is much hotter in the south with temperatures sometimes reaching above 40 in April and May. The rainy season starts in June and lasts till October. June and July are still alright to visit as the rain tends to be in bursts and the countryside also looks so green at this time of the year. From the end of June to the end of September of October the rains are heavy which may make some rural road impassable.